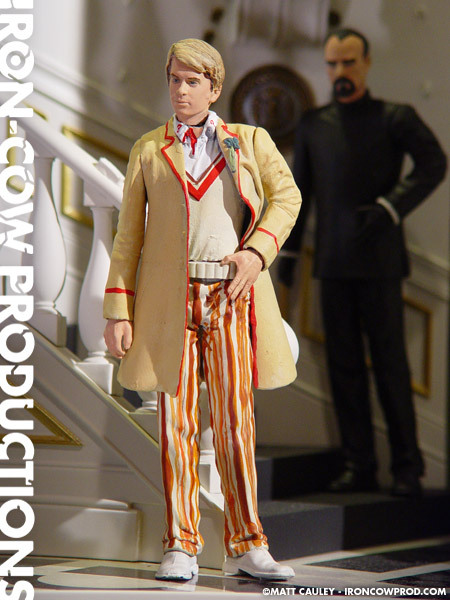 As with my Fourth Doctor custom, this Fifth Doctor version also uses a Shaft figure for a base. 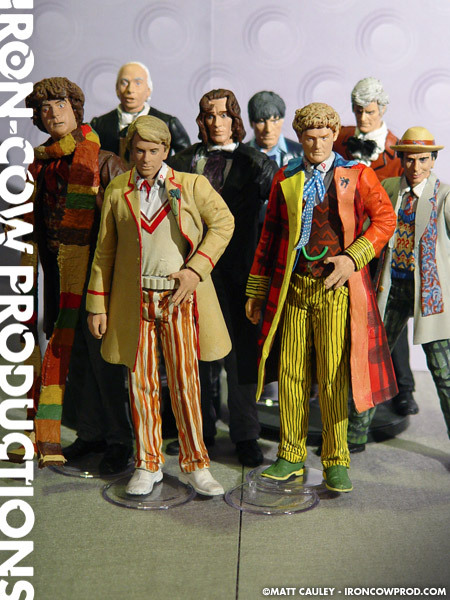 Actor Peter Davison reflected the show producer’s decision to give the Doctor a more youthful feel. To create the pinstripes on his pants, I had originally tried a collage experiment. This proved to be striking, but awkward. Ultimately the original legs were abandoned, though the upper half was salvageable. New legs were added and the pinstripes were painted by hand. 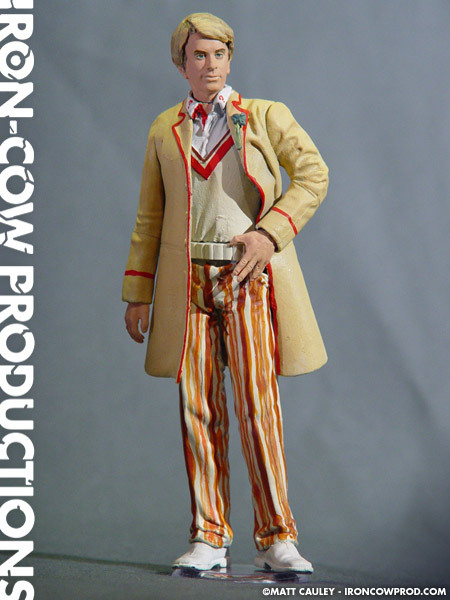 The Doctor’s headsculpt is a reworked Scott Evil figure from the Austin Powers line. Scott’s hair was removed and replaced with Kneadatite. 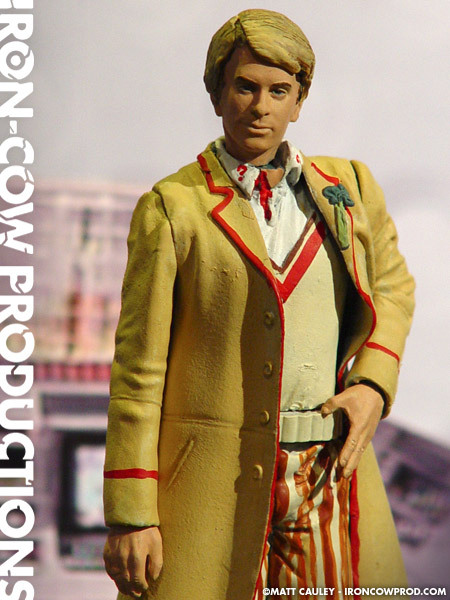 The Doctor’s vest is Kneadatite as well. 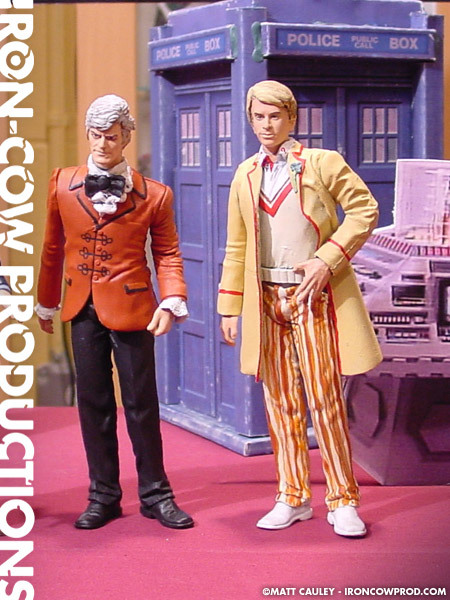 Overall I’m really quite pleased with the Fifth Doctor. I feel the likeness is about as close as possible to that of the actual actor, and it has a unique presence to it. 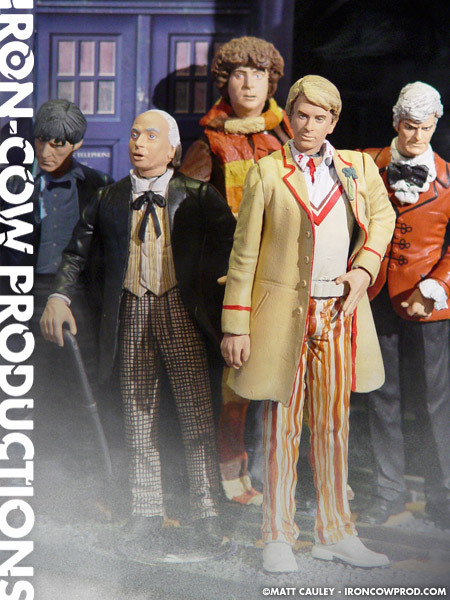 Though this had likely the least amount of sculpting involved, it definitely distinguishes itself from its original Shaft base, as well as from the other Doctors in this series.